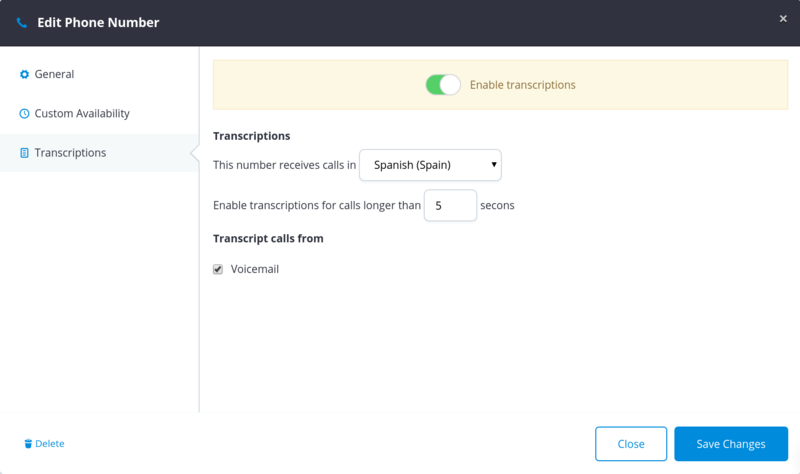 In the left menu, look for Telephony section and click on "Phone Numbers"
In the Phone Numbers section, click "Edit" on the number you want to activate the Speech to Text transcription service for voicemail. 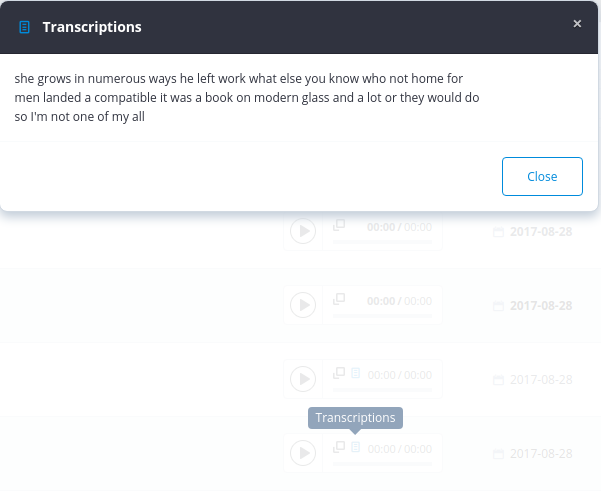 In Transcriptions section you can enable the transcription service for voicemail. You should select the language that the voicemail audios will have and the minimum time the audio should have to process it. Once you click on "Save Changes" the service is activated. Note: Voicemail audios that were created before activating the service will not be processed. On the left menu go to Voicemail section and to check the if a voicemail have an audio transcription look for the transcription icon in the Voicemail audio player. To see the transcription and click on the icon and a window with the transcription will popup.